How Do I Replace the Government 1911 Pistol Front Sight? Replacing the front sight on a model 1911A1 is not difficult. A government sight on the 1911A1 pistol is the stock sight that came pre-installed on the top of the frame. Replacing the front sight is not difficult to do but you will need a 1911A1 front sight tool specific to your brand of 1911A1. 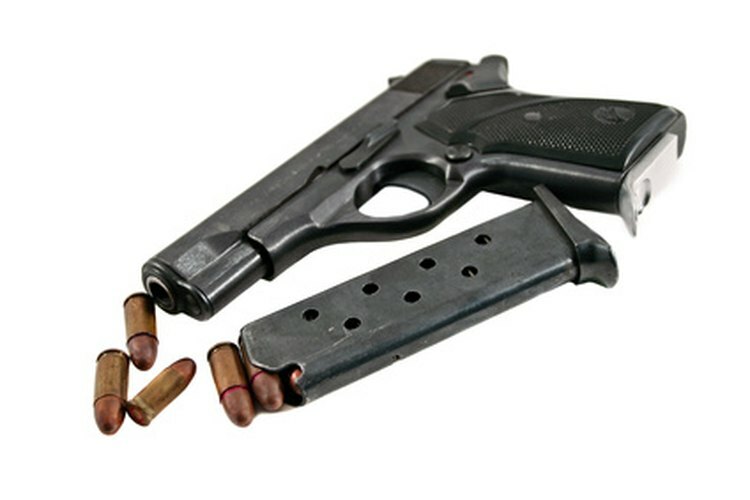 The model 1911A1 is one of the most popular pistols on the market and has been for decades. Almost every gun dealer will have the replacement sight and sight tool needed for this job. Remove the clip from the handle by pressing the clip release button on the right side of the handle. Remove the clip from the handle. Pull the slide back until the bullet in the chamber is ejected. Place the front sight tool over the front of the barrel so that the front sight is between the two metal clamps on the inside of the tool. Turn the handle on the top of the tool counterclockwise to remove the front sight from the top of the frame. Pull the front sight from the sight tool and set the sight aside. Place the new front sight into the sight tool. Position the front sight tool over the front of the barrel. Turn the handle on the top of the sight tool clockwise to install the new front sight on the frame of the gun. Take the front sight tool off the frame of the gun.